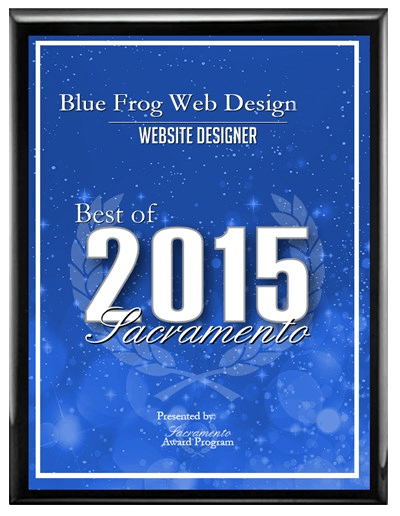 W elcome to Sacramento Website Design, Marketing, and SEO Company→ Blue Frog Web Design. We also provide photography, videography, Digital Marketing, and Graphic Design services. 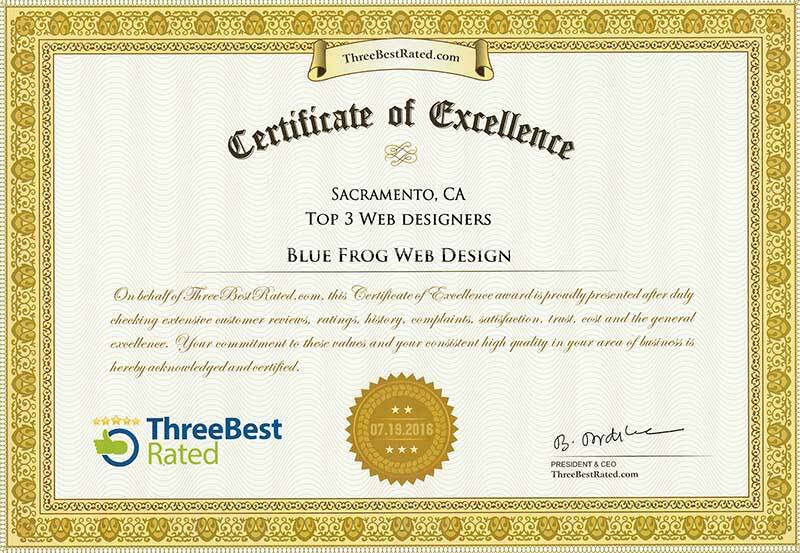 If you’re looking for a refreshing change to Web Design and Online Marketing then you found the right firm. No matter what type of business you have, your website needs to make a statement. Your competition is trying to do just that! My #1 goal is to make sure your business has an online presence that gets noticed. From web design, photography and videography, logo and graphic design, to search engine optimization and social media marketing, we’ve got you covered. Each website is designed to showcase your product or service and elevate your brand in a unique way. Responsive design means your new website will change automatically to look its best on each device. Each page on your new website will be optimized for your keywords to help get your site found online. We work hard on crafting unique, visually compelling designs that tell your story in a way that compliments your services or product. Clear call to actions directs your website visitors on the path to either contact your team or purchase your products and services, all done with a modern touch. Join a long list of happy customers by calling us today to get started. 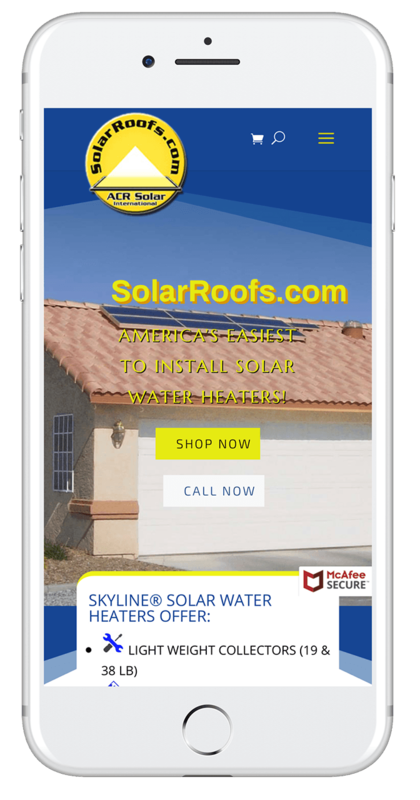 If your website isn’t mobile-friendly by now I am sure you are beginning to realize how important it is that it should be. Most web search & traffic is now done on a mobile device. Using responsive design allows us to create designs that change and adjust themselves automatically to fit best on different devices and common browser sizes. We recommend WordPress and WooCommerce to get the most flexibility, customization, user-friendliness, and SEO capability. With tons of payment options, your website visitors will have a breeze at checkout. If you use one of the other options your website will end up looking like all of the others and you end up losing your brand identity in the process. From start to finish we work hard to complete your project on time and are with you along the way after launch. Need help after your site goes live? Great, we provide WordPress Maintenance services which give you peace of mind in knowing that your website is being taken care of on a daily basis. Don’t wait until something bad happens to start your maintenance plan, be proactive and keep your site safe. Finding out what works and what doesnt for your specific industry or need. Formalizing the best gameplan for your projects success. Any design work that needs to be completed like logo and graphic designs. Building the website to its glorious potential. Ready to start on your project? That’s good news, tell us all about it.